Were the NCAA Sanctions Against Penn State Harsh Enough? Unless you have had your head stuck in the sand, everyone has heard of the now substantiated criminal accusations of the sexual abuse of young boys by Coach Jerry Sandusky and the cover up of those crimes by the athletic department (including Coach Joe Paterno) and possibly by the University itself. Last month, Sandusky was found guilty of abusing ten different boys over a fifteen-year time period. 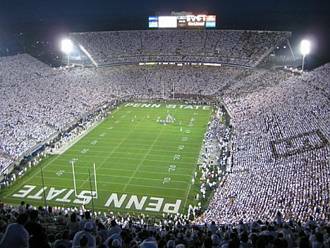 The NCAA, which regulates all collegiate athletics, has just announced the sanctions on Penn State: 1) Coach Paterno’s wins from 1998-2011 are vacate; 2) A $60 million fine; 3) A four-year ban on post season play; 4) A five-year probationary status; and 5) A reduction of scholarships from 25 to 15 for incoming players. In announcing the penalties, NCAA president Mark Emmert stated that the penalties "reflect the magnitude of these terrible acts" but also assures "Penn State will rebuild an athletic culture that went horribly awry." So does the punishment fit the crime? I believe that a deeper look at the imposed sanctions will help us answer that. Paterno’s stripped victories: While embarrassing to his family, there will always be a footnote next to his name in the record books that will indicate that “Coach Pa” really was the football coach with the most wins in NCAA history, but for this infraction. Nothing is really lost except the official recognition. $60 million fine: The fine represents one year’s revenue that the university earned for its football program. That is a lot of cash. But consider this. Despite the allegations, Penn State just collected $208 million in donations in one year alone. This is the second highest amount ever collected from alumnae of the university ever. In the grand scheme of things, for the conduct involved, $60 million is a minor fine to Penn State. Future of the Penn State football program: Consider the fact that the NCAA has the authority to impose a wide variety of sanctions including the death penalty for the football program which means that the NCAA could have suspended all football activities for the school for one year or longer. A quick search on the internet reveals at least five prior instances that the NCAA has imposed the death penalty to five different athletic programs over the last 60 years. The one football program that was hit with the death penalty was the SMU program. I was attending SMU at the time of the events leading up to the last NCAA investigation. I knew two or three of the players and I knew one of the faculty advisers to the team. Just to be clear, SMU was a repeat violator in the area of recruiting violations. To make things worse, after being placed on probation many times, SMU alumnae continued to make cash payments to players after it was once again placed on probation. In the end, SMU was sacked much harder for its offenses than any other football program that was doing the exact same thing. While despicable and wrong, the actions of the SMU alumnae association did not physically harm the students themselves. One can only compare Penn State to SMU in the terms of time and knowledge. Both football programs had dysfunction for a long period of time, and both football programs had head coaches with knowledge that there was dysfunction within the programs themselves. The difference was that Penn State never got caught and SMU did. When caught, SMU readily admitted the violations. So were the sanctions against Penn State harsh enough? Let me answer the question this way: If what happened at Penn State occurred with the knowledge of the head of the athletic department, head coaches, and possibly the university heads does not warrant the imposition of the death penalty, what conduct does?